For collectors, enthusiasts or fans, I offer the opportunity to buy my works, limited editions and other items. This is the way, how you can support me, and you can also delight your loved ones. Today is the 100th anniversary of the founding of the republic. It is a reason for celebration, but also a reason to think. Each anniversary attracts to speak about the light and dark periods. I am glad that my painting Masaryk unleashed the discussion. The opportunity to speak freely and to discuss with each other is fundamental to democracy. What our country became and where it is directed, among other things, isreflected by the representatives we elect, including the values they hold. They are therefore mirroring our society. Let us, therefore, approach ourselves (the individuals) responsibly to this state, so that the next generation does not have to cry. As T.G.M. said, democracy has its mistakes because citizens have their mistakes. I wish the next 100 years to be prosperous, the education to grow, modesty with respectability was not a surplus of the current time, but on the contrary, to grow in people. 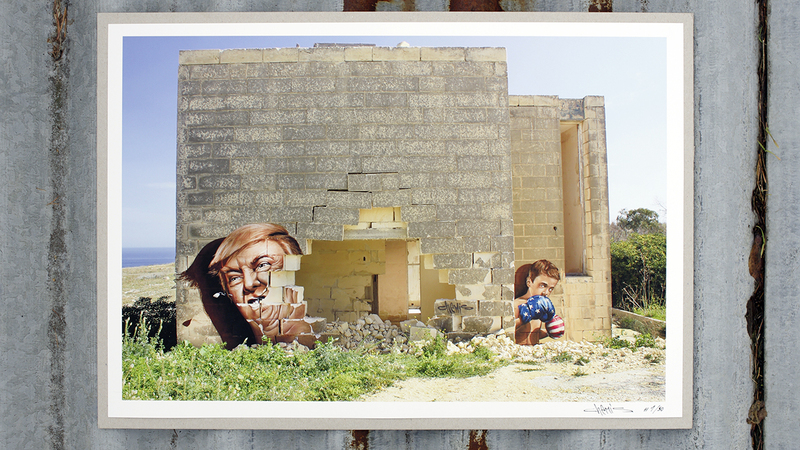 ,,Trump this!,, Painted at Malta in 2016, when Donald Trump was nominated for presidental election. Yong american is punching his face so hard, that he breaks the wall. 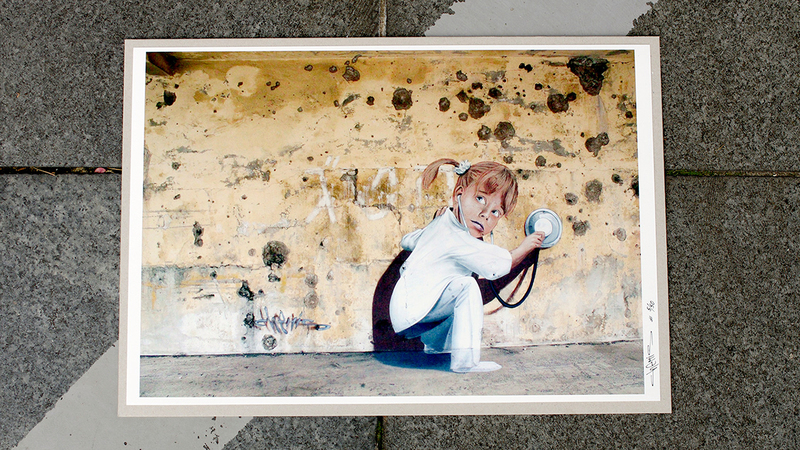 ,,Lil doctor,, is the name I gave to my mural in Golan Hights in Israel. Picture was made in 2013 during my trip with Artists for Israel. You can see Girl taking care about wall with real bullet holes in it. It became famous in newspapers like New York Times. Chemis 3D. 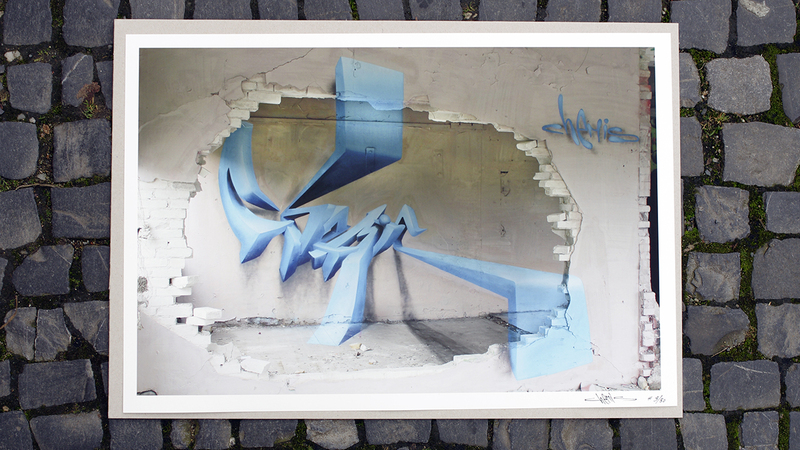 This anamorphic piece was made during my trip to scandinavia in Denmark, Copenhagen in 2011. 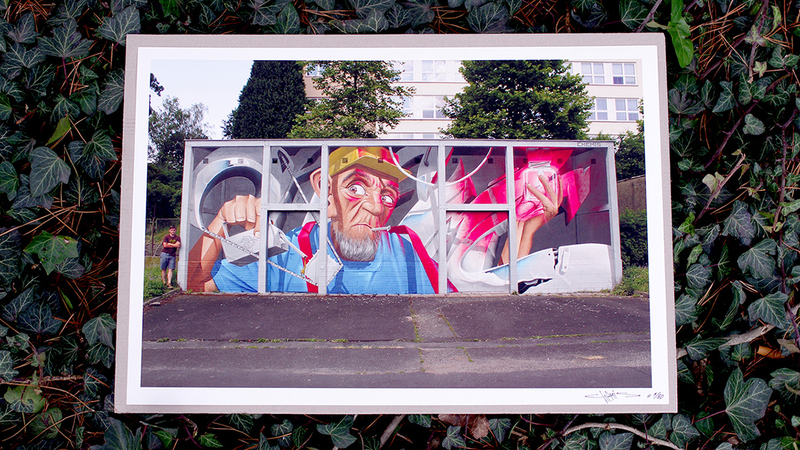 It´s my most known graffiti I made so far. 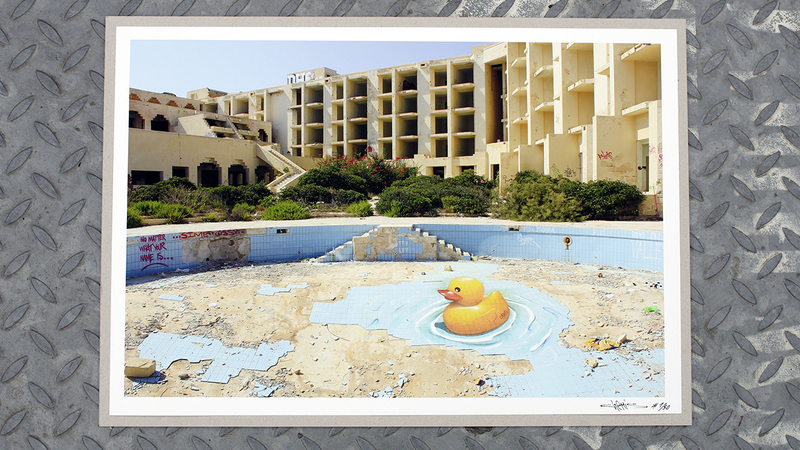 ,,Duck,, is anamorphic mural of the toy, who find home in the swiming pool of 5* hotel complex in Malta, which was after few years abonded and left to his destiny during economic crisis. 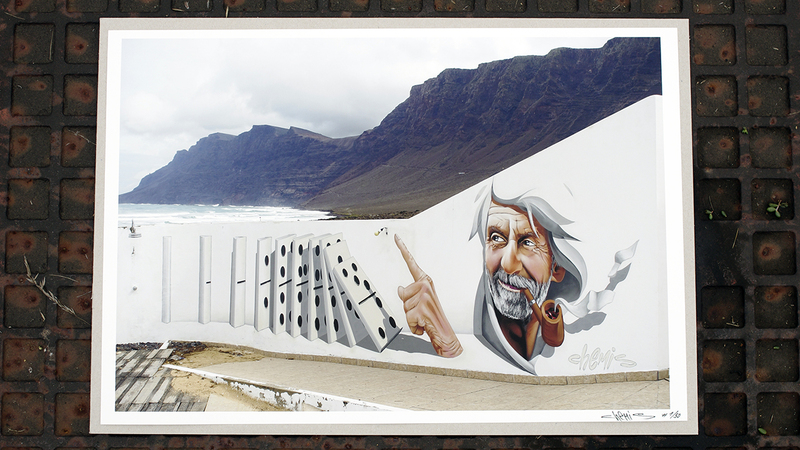 Domino, 3D mural at Lanzarote Island. Inspired by local players of this table game. 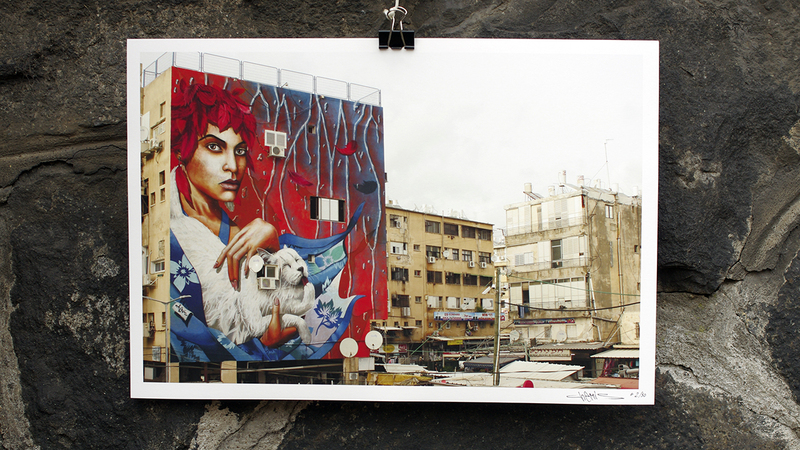 ,,Cats of Netanya,, is inspired by thousands of cats who live on the streets in Netanya and all places in Israel. Mural was made to bring new energy to shady part of downtown as well to bring inspiration to the people who live in this area. 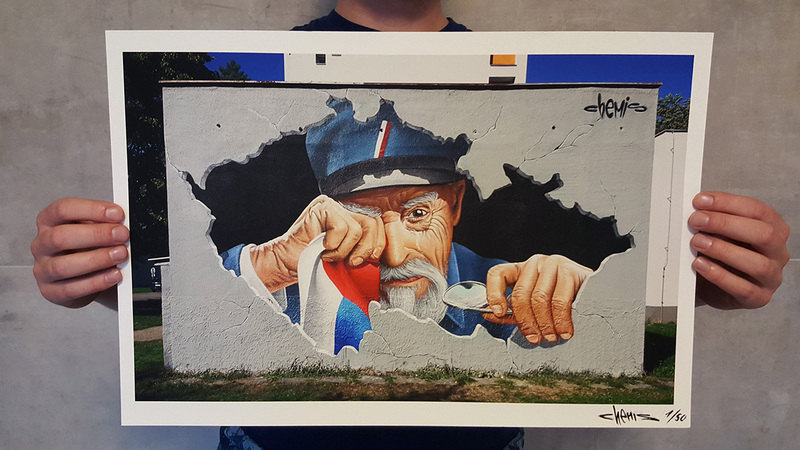 ,,Style keeper,, is a mural made at Graffiti boom festival in Cheb (czech republic) in 2016. Piece Chemis at the background. 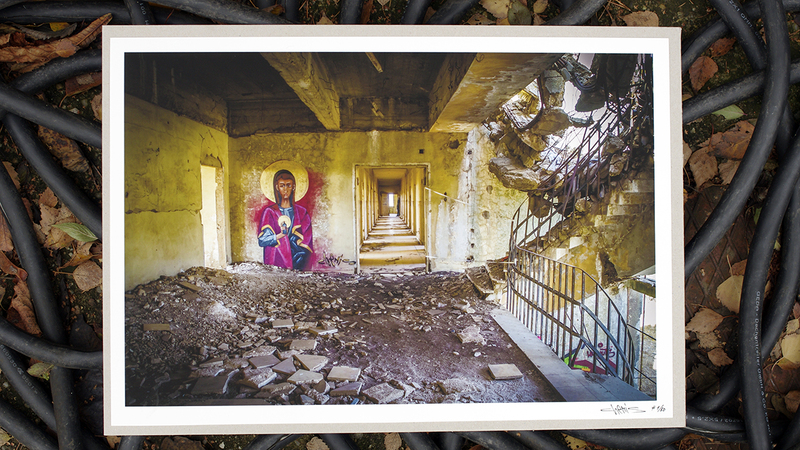 This iconic painting originated in the destructed hospital in the Golan Heights.